Sciatic nerve pain can range from being slightly irritating to extremely debilitating. 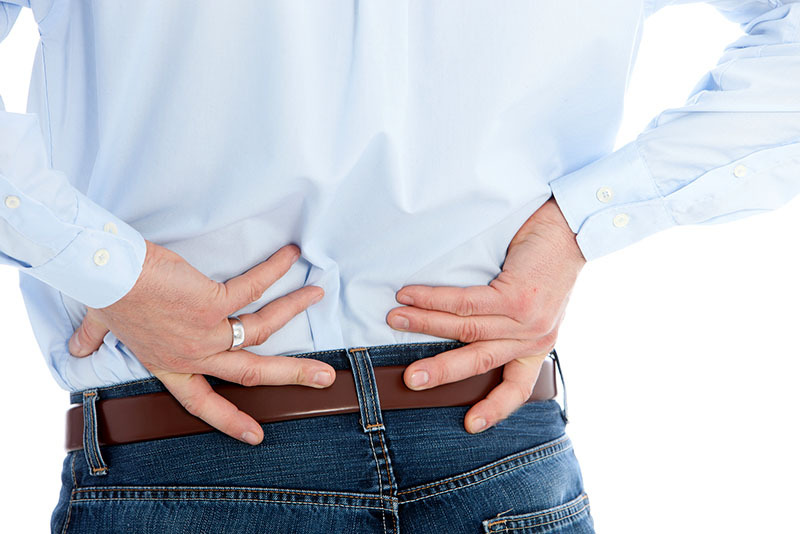 Sciatica occurs when something irritates or compresses the sciatic nerve, which runs from the lower back through the hips and buttocks and down the back of the leg on each side. The first line of sciatica treatment is often medication, with anti-inflammatories, pain killers, and muscle relaxants being the most prevalent. While this might provide a needed break from the pain, the truth is that these medications are merely masking the symptoms of an underlying problem. On the surface, your sciatica and your neck may not appear to have anything to do with each other. However, when you understand how the spine is connected and how it works together, it only makes sense that a problem with one area can have a negative impact on other parts of the back. The job of your spinal cord is to send and receive signals from the brain. Your body’s nerves branch off of the spinal cord at each level, including your sciatic nerve that forms from nerve roots in the lower back. When the uppermost vertebra in the neck misaligns, which commonly happens since it’s the most freely movable one, it creates tension in the spinal cord. This can cause distorted signals that can lead to postural imbalances, muscle spasms, nerve pressure, and pain. Unequal muscle tension can cause uneven shoulders and hips, causing one leg to draw up shorter than the other. This can easily irritate the sciatic nerve and be the underlying cause of your condition. The goal of upper cervical chiropractic care is not to chase around your symptoms – it’s to provide a direct approach to addressing the problem at its root cause. In many low back pain and sciatica cases, the atlas has misaligned, causing a chain reaction of compensation that is causing the problem. By gently and precisely realigning the atlas, we are able to begin the process of reducing and healing these compensations. Because we are taking care of the root cause, upper cervical chiropractic care is the perfect choice for achieving lasting relief. The Head & Spine Pain Center proudly provides EPIC Upper Cervical and traditional full spine chiropractic in Montgomery County, Pennsylvania in the areas surrounding Trappe and Collegeville. We offer painless, non-surgical technology for the treatment of severe headaches/migraines, back & neck pain, vertigo, disc herniations, sports injuries and performance, as well as other neurological conditions.